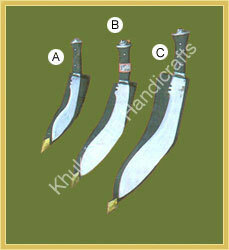 Never find a Gurkha without Khukri. 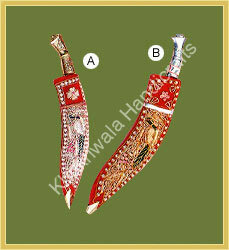 The shape of Khukri knives is like Lord Shiva's third eye, it comes in varied sizes and decorative sheaths. 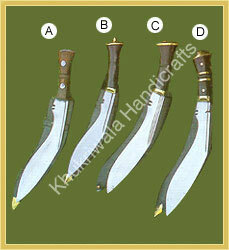 Our khukri knives are widely in used. 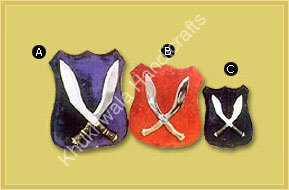 These khukri knives are very sharp. Weight : 00.700 grams approx. 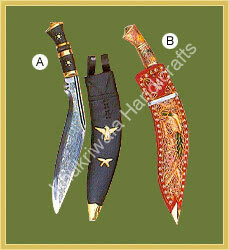 Size : 9 inch blade approx. 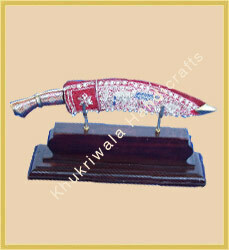 Material Used : Iron, Pure Silver, Wood, brass etc. 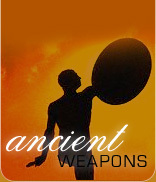 Weight : 1.5 Kg approx. 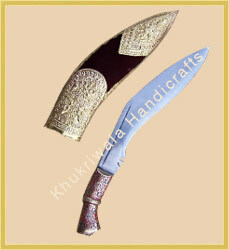 Material Used : Iron, wood, brass etc.